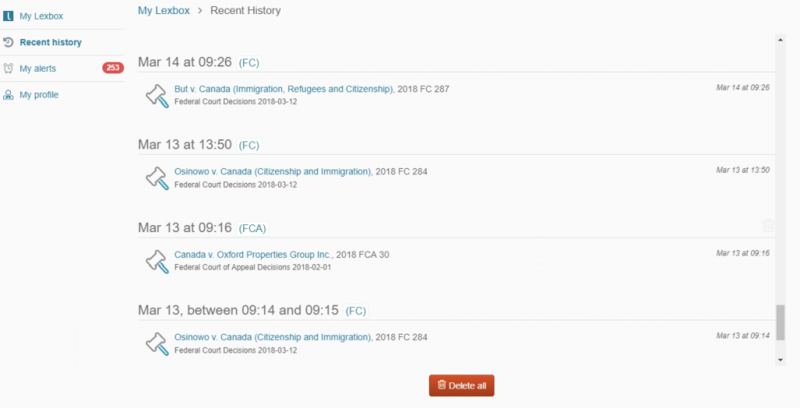 1 – You can sign into Lexbox from (1) the SCC judgments website (https://scc-csc.lexum.com/scc-csc/en/nav.do) or (2) CanLII (https://www.canlii.org/) using any browser. 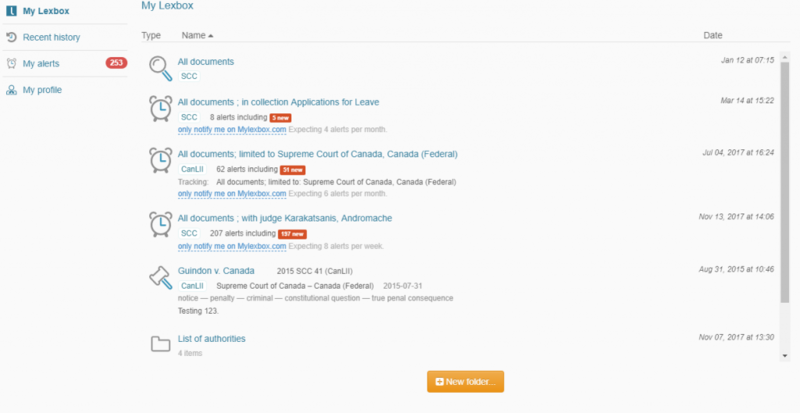 The Lexbox menu will become visible when (1) you access a case or legislation or when (2) you’ve launched a search and are viewing a list of search results. 2 – Once you’ve logged into Lexbox, you’ll see a drop-down menu with your username. This menu lets you access the Lexbox user interface or logout. You’ll also be notified of your new alerts. searches: Lexbox allows you to save a search query, set up and alert feed, email a search to yourself or others, as well as run a saved query. 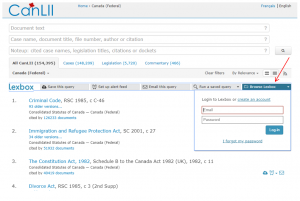 On the SCC judgments website, it is not possible to set up a citation alert for cases, and none of the legislation features are available as no legislation is published on the website. All saved legislation, cases and searches, as well as associated alerts, can be accessed for later consultation in the Lexbox user interface. 4- When accessing the Lexbox user interface, you’ll land in My Lexbox, your Lexbox dashboard. 5- In Recent history, access your latest searches and most recently consulted content. 6- In My alerts, view all alert feeds in one location. You can choose to display all of your alerts or only those that are unread. By default, you’ll only receive alert notifications via Lexbox, though you can also choose to receive them by email (at most once a day or at most once a week).